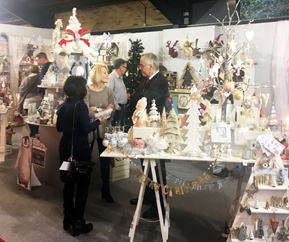 Harrogate Christmas & Gift 2018 continued momentum achieved over the last six years, with a great vibe throughout the halls of the Harrogate Convention Centre; and the majority of exhibitors and visitors spoken too having experienced another fantastic show. Enquiries are already coming in about participating in the show next year – the dates will be 13th to 16th January 2019. Bookings will open on 1st March 2018 – more information will be available on the website at www.harrogatefair.com in due course.